Should Mom Set Up a Joint Account? - Joseph Ferrucci, Attorney at Law P.C. Should Mom Set Up a Joint Account? 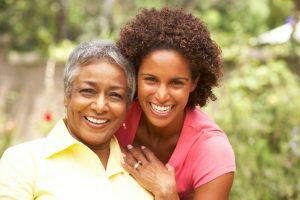 It’s not uncommon for elderly parents to ask their adult kids for help paying their bills and managing their finances. To accomplish this, many consider adding one of their adult children on title to a bank account, creating a joint account. A joint account is an account held by two or more people with each individual having the right to deposit and withdraw funds. A joint account functions much like an individual account except that it provides equal access, control, and use to each account holder, irrespective of who contributed the funds. 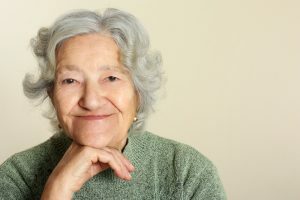 Joint accounts are an attractive option for elderly parents who want help with their finances, because it allows them to give financial powers to an adult child, but still allows them to access and use the account. People setting up joint accounts, however, may not be aware of how they are treated upon the death of a joint account holder. For example, when mom and daughter open a joint account so that daughter can help mom pay her bills, and then mom later dies, do the funds in the account belong to the mom’s estate or do they belong to the co-owner of the account, in this case the daughter? Under California law, joint accounts have a right of survivorship presumption, which means that when one account owner passes away, the surviving owner automatically inherits the account. There does not need to be an explicit joint account designation for there to be an automatic right of survivorship. It may not always be clear, however, whether the original account owner actually intended for the account to go to the surviving account holder at death. The issue of who an account belongs to when a joint owner dies is a common one and one that courts have wrestled with for a long time. This was most recently illustrated in the Estate of O’Connor (1). In Estate of O’Connor, much like the example above, Kelli Anne and her mother Betty Lou opened a joint account so that Kelli Anne could help Betty Lou with some business affairs. Betty Lou was the primary owner and Kelli Anne was listed as the secondary joint owner. Betty Lou had also created a trust during her lifetime, naming two of her children as beneficiaries, Kelli Anne and her brother Thomas. Upon Betty Lou’s death, Kelli Anne and Thomas disagreed about who was the rightful owner of the joint bank account. On the one hand, Kelli Anne argued that the account belonged to her because the account was a joint account with a right of survivorship presumption and she was the surviving owner. On the other hand, Thomas argued that the account was an asset of Betty Lou’s trust because there were no documents showing Betty Lou’s intent to establish a right of survivorship over the joint account. What Does It Take to Rebut the Right of Survivorship Presumption? The right of survivorship presumption is not absolute. It can be overcome if there is clear and convincing evidence of a different intent of the account owner. The clear and convincing standard is a heightened evidentiary standard which is difficult to meet. Clear and convincing evidence requires the evidence to be “so clear as to leave no substantial doubt” and “sufficiently strong to command the unhesitating assent of every reasonable mind.” (2) While there are no clear guidelines of what it takes to rebut the presumption of the right of survivorship in regard to a joint account, the Court in O’Connor outlines what is considered to be substantial evidence in determining that there was no clear and convincing evidence of a contrary intent. In O’Connor, Thomas made the argument that if Betty Lou wanted to make a devise to Kelli Anne, it would not have been through vague bank documents (i.e. by creating a joint account), but rather through a specific devise, as she had done before, or if Betty Lou intended to gift the funds in the account to Kelli Anne, Betty Lou would have transferred the funds to Kelli Anne while she was still alive. However, the Court found Thomas’ arguments to be speculative, falling short of clear and convincing evidence of a contrary intent of Betty Lou. Betty Lou opened the account while Kelli Anne assisted her with various business affairs. Betty Lou indicated to Kelli Anne that money in the account was for Kelli Anne’s use. Kelli Anne had equal access to the account, including withdrawal rights. The bank account application listed Betty Lou as primary owner and Kelli Anne as secondary joint owner. The Court affirmed the trial court’s decision that account belonged to Kelli Anne because there was no clear and convincing evidence of a contrary intent by Betty Lou, Accordingly, the accounts passed as a matter of law to Kelli Anne upon Betty Lou’s death. If you create a joint account, keep the account minimally funded (i.e. keep only the sum necessary to accomplish the goal of getting help with paying bills). Transfer money into the joint account from your other accounts only as needed. The right of survivorship therefore will only apply to the small remaining balance in the joint account. Keep in mind that joint accounts expose the money in the account to the creditor and liabilities of both account holders, regardless of which party contributed the money. Grant a power of attorney generally or on specific assets. In other words, do not create a joint account at all. Keep the account in your name and give your agent power of attorney over the account. The agent can then access and use the account for the principal’s benefit, but at death, the account will still be passed according to the principal’s estate plan. A downside is that when the principal grants power of attorney, the financial institution may not allow the principal to continue to access and use the account on a regular basis. Place the accounts into a living trust, and appoint a co-trustee. Both parties would have equal access and control over the accounts, and the terms of the trust would determine who will receive the remaining balance at death. In this case, however, the co-trustee would have joint control over all the assets in the trust, not just the one account. There may be other options available to you as well. Consult with your estate planning attorney regarding your particular case and what the best options are for you. (1) Estate of O’Connor (2017) 16 Cal. App. 5th 159. (2) Sheehan v. Sullivan (1899) 126 Cal. 189, 193 [58 P. 543].